New model, scientifically designed, vaccum operated destoner Machine. This machine is totally closed, with 2 nos. Vibratory motors. It is made from high quality material for long life Low maintenance and trouble free operation. Soyabean / Oil seed processing plant, Maize Starch factories, Roller flour mills, Rice mills and other Foods industries. Simple Adjustments And Operational Friendly. Practically No Maintenance And Easy To Service. High Capacity Machine With Excellent Results. Less Power Consumption. Dust Free And Low Noise Operation. 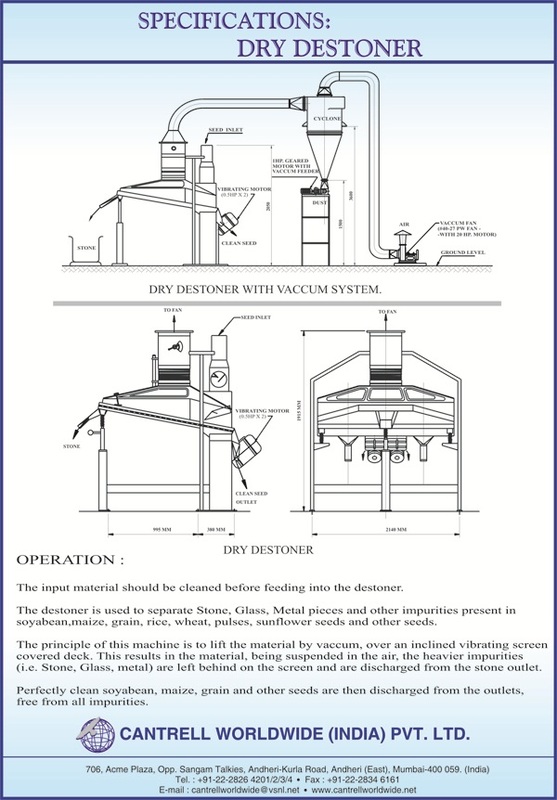 The input material should be cleaned before feeding into the destoner. 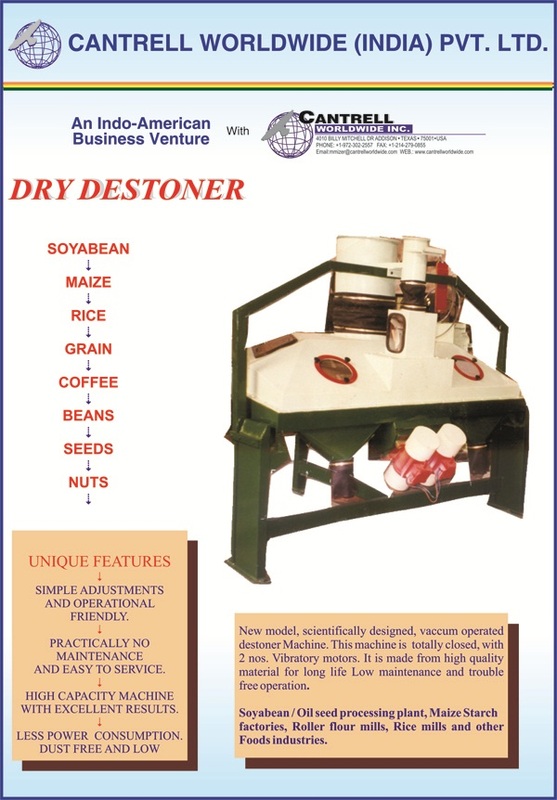 The destoner is used to separate Stone, Glass, Metal pieces and other impurities present in soyabean,maize, grain, rice, wheat, pulses, sunflower seeds and other seeds. 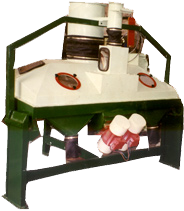 The principle of this machine is to lift the material by vaccum, over an inclined vibrating screen covered deck. This results in the material, being suspended in the air, the heavier impurities (i.e. Stone, Glass, metal) are left behind on the screen and are discharged from the stone outlet. Perfectly clean soyabean, maize, grain and other seeds are then discharged from the outlets, free from all impurities. Machine drive - 1 HP. Fan - 5 HP.